Body Glove Water Filters Used on Set of "Get On Up"
Redondo Beach, CA (August 5, 2014) - Do you want to take a journey into one of the most influential figures of the 20th century? Get ready to travel through decades of the music, moods, and grooves of James Brown with Universal’s new release, Get on Up.Body Glove International had a helping hand in quenching the thirst of the cast and crew on the set of Get On Up, by providing their self-filtering water bottles. Get on Up is a chronicle of James Brown's rise from extreme poverty to become one of the most influential musicians in history. Transforming the actors and environment into another time to tell Brown’s story was hard work on the Mississippi set of Get on Up. The forward-thinking production team was very environmentally conscious and wanted to minimize the use of plastic water bottles on set. 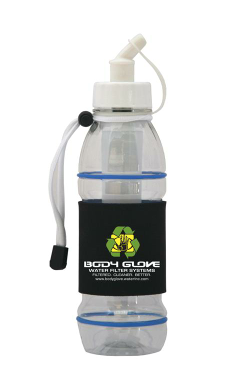 Body Glove was happy to be a part of keeping the cast and crew hydrated (without the plastic) with their Body Glove Filter Bottles. Body Glove’s Filter Bottles have a built-in filter that provides clean, safe & great tasting water from any source (except the ocean). Our new 20 oz. bottle produces up to 100 gallons of filtered water per cartridge. This is the perfect way for anyone to stay hydrated while on-the-go: hiking, biking, travel, and any situation where you would have the burden of buying bottled water. For the 75% of water consumed away from home, this is a great sustainable solution. The dangerously funky Get on Up is in theatres now! Founded in 1953, Body Glove is a leading, worldwide water sports brand specializing in wetsuits, swimwear, clothing, footwear, accessories, and technology accessories. 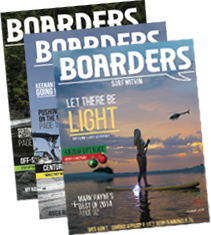 The company sponsors one of the most respected surf and wakeboard teams in the industry with such powerhouse names as pro surfers Jamie O’Brien, Anthony Walsh, Alex Gray, Zeke Lau and Guinness World Record Holder Garrett McNamara and wake boarders Rusty Malinoski, Harley Clifford, and Bob Soven. Through Reef Check, SIMA’s environmental fund, and the Surfrider Foundation, Body Glove also works to preserve the purity of the waters it loves. Body Glove products are sold in the U.S. by a network of independent retailers. Body Glove is also sold in approximately 50 countries internationally. Body Glove’s line of water filtration systems are designed with the environment in mind, and help alleviate the need for plastic water bottles. We have systems that install under the sink at home, and the Body Glove Filter Bottle to drink on the road. Our home systems have recyclable cartridges, and have been certified by the NSF for filtering capabilities, and certified for sustainability by the Water Quality Association.